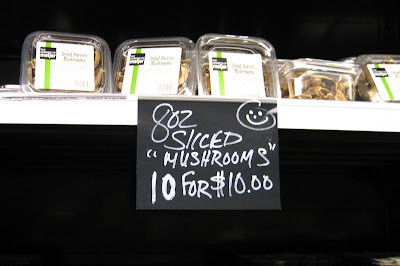 I love meijer, but I think whoever made this sign may have had a few too many "mushrooms". Thanks, Hannah. I miss Meijer so much! Curse you, Stop and Shop!